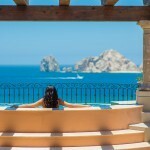 You are guaranteed Villa del Arco timeshare vacation fun every time you arrive to your home from home in Cabo San Lucas. Villa del Arco is one of the most luxurious timeshare resorts developed and operated by The Villagroup vacation ownership company and you are sure to have elegant fun each time you take a vacation there. Villa del Arco timeshare is just one of the options offered by The Villagroup. As a timeshare owner at Villa del Arco you also have the privilege of staying in accommodations at any of the other timeshare resorts operated by The Villagroup in Mexico. Villa del Arco vacation owners can stay in Cancun, Puerto Vallarta and Loreto in some of the finest accommodations. The best way to ensure Villa del Arco timeshare vacation fun is to take advantage of all the facilities at the Cabo San Lucas resort. 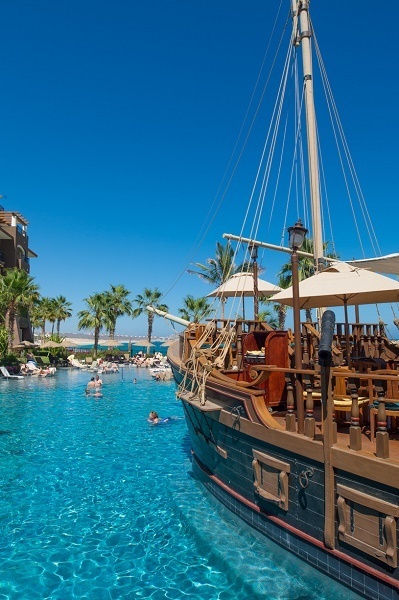 Villa del Arco enjoys its own exclusive pool area and dining options as well as access to all the addition facilities offered by Villa del Palmar Cabo that is joined to the Villa del Arco property. One of the highlights shared by both Villa del Arco and Villa del Palmar Cabo is the stunning Desert Spa and beauty salon that is located in a specially designed building on three floors. Even the most discerning and elegant guests will find occasion for Villa del Arco timeshare vacation fun. Designed for high-end visitors, Villa del Arco strikes the perfect balance between relaxing and fun with elegance and exclusivity. The location of Villa del Arco timeshare resort is one of the key selling points to this incredible complex. Villa del Arco is close enough to downtown that you could walk along the beach in just under 15 minutes or a taxi would drive you in no time. Owning a timeshare should be all about freedom, feeling like you are at home and Villa del Arco’s location provides just that feeling. The variety of activities and excursions you can enjoy in Cabo San Lucas go a long way to making sure you experience the very best of Villa del Arco timeshare vacation fun. You can book tours to see whales, go swimming with dolphins, take a camel ride along the beach, enjoy ATVs and off track tours, or even visit local villages and see how the real Mexico lives. Finally, after all this abundance, you return to your Villa del Arco timeshare luxury suite to relax and savor a fabulous view of El Arco rock formation or the ocean as it laps upon the sand. When you own Villa del Arco timeshare you will have access to the very best units and suites from deluxe rooms to one and two bedroom suites decorated with fine details and designed for your lavish comfort. Share the post "Villa del Arco Timeshare Vacation Fun"